Lifecoach comes to Manchester, and also the Blue Baboon! First off, finally the Lifecoach show is in Manchester! At the Kings Arms in Salford on Friday 18th August. If you can’t make it to Edinburgh this year and feel like you’re missing out on funny things, come along. 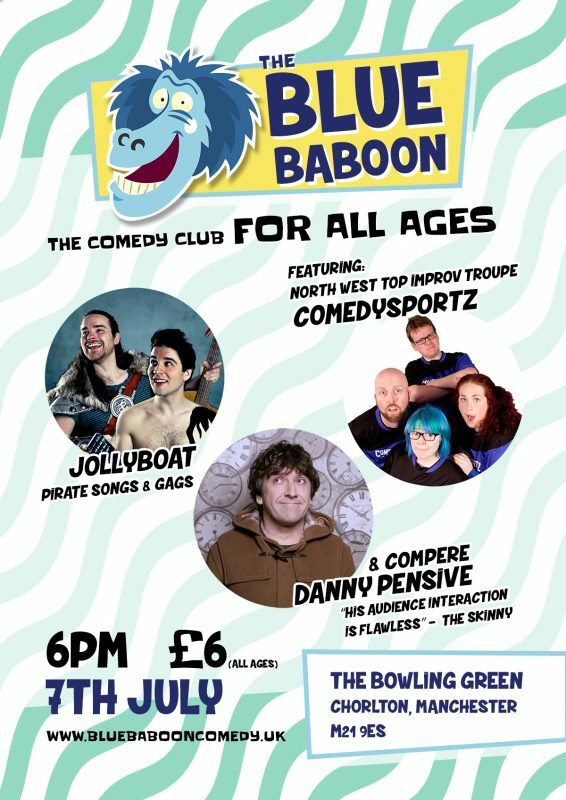 Also, recently I did the Blue Baboon, a comedy show for everyone where I get to compere. New dates for late in the year to follow. This entry was posted in Lifecoach. Bookmark the permalink.